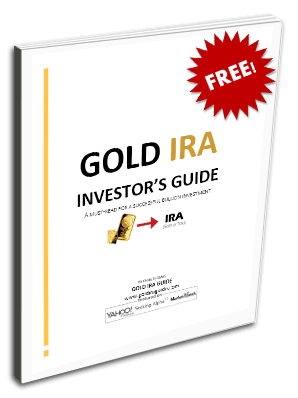 Gold IRA Guidealternative investments Secondary Market Annuities Review, Legit Investment or Scam? Secondary Market Annuities Review, Legit Investment or Scam? A secondary market annuity (SMA) or secondary annuity (SA) is also commonly referred to as a structured settlement investment. They are the contractual guarantees from the original annuity policy purchased from the original payee. The original annuities mostly come from favorable court judgments following an accident, but some come from lottery winnings. When the annuity is from a court judgment, the payments come from an insurance company such as New York Life, John Hancock, Allianz, MetLife, etc… When the annuity is from lottery winnings, the payments come from the state lotteries or the state-regulated progressive jackpots. Most secondary market annuities from lottery winnings are snatched by large institutions due to the sum of money needed to purchase the annuity. In some cases the original owner is only able to sell a portion of the total annuity. Whether the owner is able to sell all or part of the annuity is dependent on the original agreement terms when the judgment was made. The original terms of the annuity may also impact the complexity of the transaction. In most cases, SMAs can provide a higher yield than other investment options. This has made them highly desirable due to the overall low interest rates. Additionally, they are less risky than investing in stocks. The increase in demand for them has created a real scarcity, which has impacted the price as well as the availability. Secondary Market Annuities (or Secondary Annuities) typically offer a higher contractual payout than other investment options. They also allow buyers to choose the terms and ratings they are looking for in a secondary market annuity. These favorable attributes make them desirable to investors. These annuities provide such a good rate of return because the original payee sells the annuity at a significant discount in order to get large payment upfront. SMAs are most common among conservative investors, who want higher returns but low risk. They are also bought by investors looking to diversify their portfolio, and they have become popular among investors looking for additional revenue streams for retirement, estate planning, and college funds. The terms of a secondary market annuity can vary. Investment amounts generally start at $10,000 and can go up into the millions. The contract terms range from 1 to 35 years or more, and the payments can be monthly, quarterly, or one lump sum. These annuities offer a relatively safe investment opportunity that can provide predictable and guaranteed income. Note while they make up a great investment for anybody that needs guaranteed income, the number one problem with secondary market annuities is scarcity. Good SMA deals go fast, so it is important to be proactive if you're interested in investing in this niche. Once you’ve done your research and you know what you are looking for, have your resources lined up so you can act as soon as you find the annuity you are looking for. Who Sells SMAs and How to Buy Them? When someone is receiving annuity payments, those payments are a set amount for a set period of time. Annuities can be paid out monthly, quarterly or annually. There is no direct way for the payee to get the money faster. This can lead to situations where the original owners of the annuities want or need a faster payout. This is where the annuities enter the secondary market. You can buy the secondary market annuity from the original owner at a discounted price. The original owner gets a lump sum payment, and you will eventually get back much more than what you paid. While the original owner is essentially losing money, they will no longer have to wait to get that larger lump sum they needed. The rate of return is generally much higher than what you’ll find on fixed annuities, certificates of deposit, bonds, or immediate annuities. This is because they are sold at significantly discounted rates. The more the original owner needs the money upfront, the more they’ll be willing to discount the sale price. The process of purchasing a secondary market annuity can be complicated for a couple reasons. First, a judge is required to approve the ownership of the rights to the annuity payments. Second, it is required that the issuing carrier agree to the changes. The carrier is the insurance company that is making the payments. The process has to been overseen by a judge because the annuity is a legal contract between the payee and the insurance company. Transferring the payments requires the legal contract being changed. A transaction can take anywhere from 10 to 45 days to process. It is important to work with a company that has plenty of experience with this niche due to the potential legal complications. You may be required to make a partial payment or deposit upfront while the transaction is being processed. The deposit protects your interest in the SMA until the details can be worked out and the transaction processed. You will then need to pay the remaining balance of your investment amount prior to the payments being transferred to your account. When the annuity is transferred, the courts will state your name and information in an executive court order, and the insurance company will be directed to start issuing the payments to you instead of the original owner. You can then change your address or bank account information at any time on your own simply by contacting the insurance company directly. Changes in personal information do not need to go through the court. The SMA is now a legal contract between the investor and the insurance company, and the payments are guaranteed. If the investor dies before the annuity is paid out, the payments will automatically start going to the beneficiary of the estate. Are They Safe? What are the Risks Involved? Secondary market annuities are very safe. In fact, they are basically guaranteed income. The settlement amount is not a projection but a contractual promise by a top carrier. This means you don’t have to worry about whether or not you may or may not get a payout. Additionally, the rate of the annuity is locked in, which means it won’t change regardless of what is happening in the market. There are always risks involved when you are investing your own money. However, the risks associated with these annuities are nominal, particularly when compared to the risks associated with other types of investments. If the insurance company making the payments files bankruptcy, you may never get your money back that you invested. Focus on buying annuities that are being paid by a large well-funded insurance company like New York Life or Met Life. They are not insured deposits with the Federal Deposit Insurance Corporation. There are no federal organizations that insure SMA deposits. Foreign investors run the risk of losing money in the exchange rate. These annuities are based on the US dollar, so depending on the exchange rate, they may not be a wise investment for some foreign investors. It cannot be liquefied, so your investment will be locked in until the end of the payment contract. People sell their annuities because they need or want the money upfront. Selling will not be an option of the investor. What are the Secondary Annuities' Tax Implications? Secondary market annuities are taxed in a similar manner to other annuities. When investing with after- tax dollars, each payment received from an SMA is a portion of interest, and a portion of return of principal. This is known as the exclusion ratio and your interest income is taxable. Most investors elect to recognize the interest portion of each payment equally throughout the term of the payment stream. It’s important to know that the insurance company will not send you a 1099 for your purchase. This puts of the burden of tax reporting on you and your tax advisor. But remember- just because you don’t get a 1099 does not mean it is tax free! Did you know that you can also buy a secondary market annuity with funds from a traditional IRA or 401k, and this option will have different tax implications. First, you will need to set up a self-directed IRA account. This is essential in order to maintain IRA status with this investment. The payments from your annuity will be deposited in your self-directed IRA. When you withdraw those funds from the self-directed IRA, they will be completely taxable as income. A self-directed IRA can be used to purchase an annuity with Roth IRA funds. When you do this, the payments will be deposited directly into the Roth IRA. When you withdraw those funds, they will be tax-free. Roth IRA withdrawals are always tax-free, so these would be no different. Similarly to the transfer process, tax implications involving secondary market annuities can get complicated. It is advisable to work with an accountant to be fully aware of what taxes you will be responsible for prior to investing. Once you purchase the annuity, you are responsible for the taxes. They generally offer significantly higher payout guarantees than what you could buy directly from an insurance carrier. Most options are with solid, well known carriers with high safety ratings. Interest rates generally range from 4% to 6%. They are low risk compared to other investment options. Payments are guaranteed. Assuming the carrier is financially healthy, you will receive consistent and expected payments. They allow you to diversify your investment portfolio. Secondary market annuities are scarce and that scarcity is increasing. Approximately 70% of all the available SMAs are claimed by institutions. That leaves only 30% available for individual investors. The increased demand for these annuities has impacted the price and made them harder to get. Due to the complexity of the legal transaction, you need to work with a lawyer to process the transaction. This creates an additional upfront cost. Due to the possible complexity of the tax implications, you will need to work with an accountant. Where to Buy Secondary Market Annuities? The majority of these SMAs are taken by large hedge funds and institutions. While a minority of them are made available to individual investors, there aren’t many and they go fast. There are organizations online that monitor the availability of these annuities and maintain large online inventories on ones that are currently available. They are experts in the secondary market annuity arena, and they can walk you through the process of finding an investment that is right for you. Inventories changes daily due to the high demand so it is important to check regularly. Buying them is first come first serve, so if you're really interested in SMAs, there is no time to waste. One secondary market annuity inventory you should always keep an eye on is the one from SecondaryAnnuities.com. It is updated daily and has exclusive deals that are not available anywhere else. Nathaniel Pulsifer, owner of the inventory, is one of most renowned experts in this industry. The process they designed is geared towards all types of investors and focuses on investor safety. They are not ‘just brokers’ but rather are principals in the deal. IRA, 401k and other retirement account holders can easily invest in Secondary Annuities through his agency. Also, unlike anyone else in the business, SA's process facilitates liquidity and transferability in the future. If you want to sell your payments in the future, or gift them to an heir or your church, it’s easy with SA, and virtually impossible through other vendors. SA has exclusive inventory control and if you see a deal on their list, there is no chance someone else will take it out from under their/your nose. Make sure you check out their inventory to see the current deals. Mark has worked in the investment industry in Chicago and New York for over 15 years. After graduating from Chicago State University with a degree in Finance, he has occupied various management positions at reputable banks and financial institutions, including: Chase, Bank of America, Wachovia, Sterling Trust and Fidelity. His experience has led him to develop a keen understanding of the current economic landscape. For the past 10 years, Mark has been working as an independent investment advisor and has helped many Americans learn how to protect and grow their savings by properly diversifying their portfolios. Secondary Annuities are basically guaranteed income. The settlement amount is not a projection but a contractual promise by a top carrier. This means you don’t have to worry about whether or not you may or may not get a payout. Additionally, the rate of the annuity is locked in, which means it won’t change regardless of what is happening in the market. Interest rates generally range from 4% to 8%. Scarcity! Good SMAs go fast and it can take you quite some time to land a deal.